A new partnership between Samsung and KoolSpan will provide Knox users with secure voice communication and messaging to protect their devices from attackers. The Maryland-based secure mobile communication provider announced the general availability of the KoolSpan TrustCall Virtual Edition solution earlier this month, which separates voice and message processing from the operating system to protect audio and written information, according to the company. The solution also provides peer-to-peer authentication and operations over wireless cellular, satellite and Wi-Fi networks. KoolSpan is the latest in a series of companies to collaborate with Samsung on the Knox platform; last month, Vorex announced the availability of two versions of its secure professional services automation and project management software for Knox users. In February, Good Technology launched Good for Samsung Knox, a solution that combined the MDM provider’s app container solution and app ecosystem with the Samsung platform. 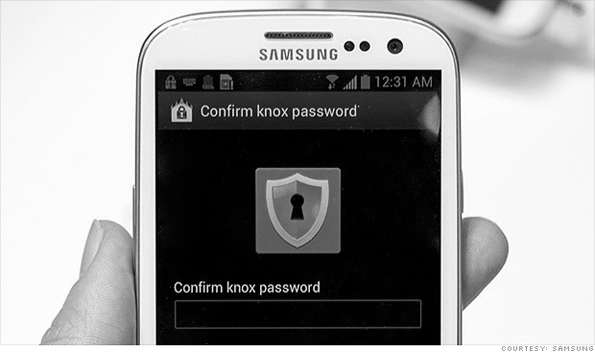 Samsung Knox with TrustCall VE is available globally on all Knox-enabled devices, with contracts for the service available starting at $15 per user per month. Users will be able to choose between one-, two- and three-year contracts for the TrustCall service.